Why invest in a custom made fall suit when you have a healthy weekly rotation of 'all season' suits? While 'all season' suits are essentials in every man's wardrobe, seasonal garments, such as a custom made fall suit, are a great way to stretch your closet. Once September arrives and the labor day weekend passes, it is only a matter of time before the temperatures cool and the leaves start to fall. And that means it's time to start the process of clearing your summer wardrobe out and making room for fall suiting. You may be asking yourself, "Why should I invest in a fall suit when I have a healthy weekly rotation of all season suits?" 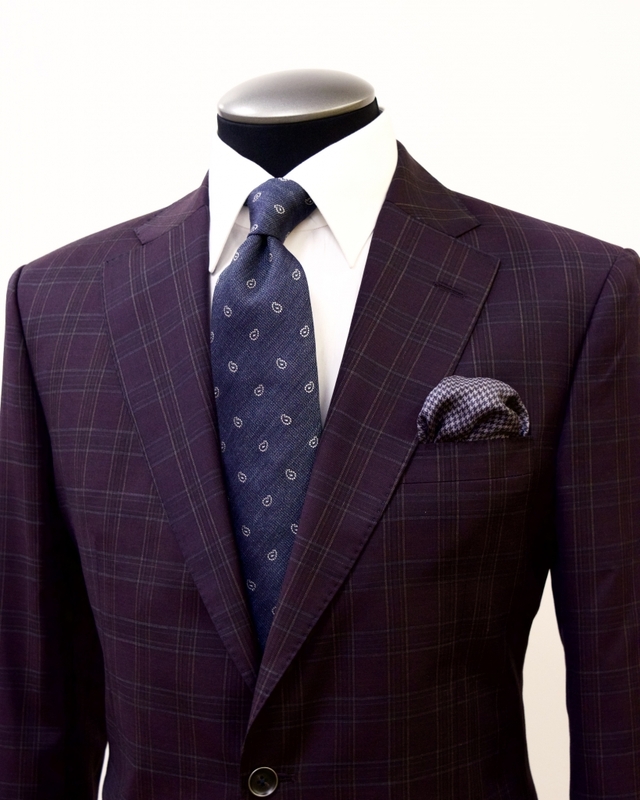 Well, we offer 3 key reasons why it makes sense to invest in at least 1 fall custom suit. You get to choose the perfect weight of fabric for cooler weather. 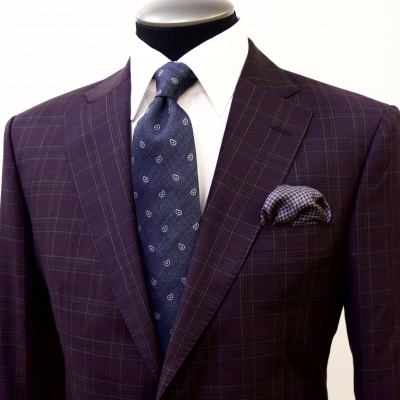 One of the most beneficial aspects of investing in a custom fall suit is the ability to dictate the weight of the fabric. 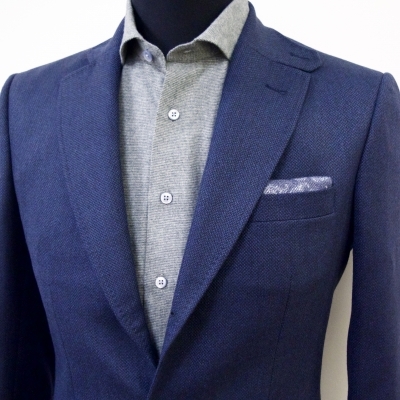 While an 'all season' suit is meant to be worn 12 months out of the year, a custom fall suit can be made in a heavier cloth in order to keep you warm during the weather shift, without the need to layer. It is one of the most practical benefits of custom suiting, as the cloth weight determines the warmth and breathability of the garment. It feels great to refresh your look with colours and patterns that fit the season. 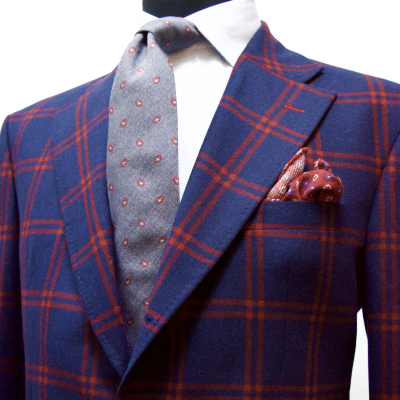 The beauty of investing in a custom fall suit is the ability to choose a colour pertaining specifically to this season. Fall is the time where rich and deep earth tones are prevalent. Colours like olive green, deep burgundy, sharp rust and harvest gold are fantastic for fall suits, especially if your wardrobe is already filled with blue and grey. You can even opt for a hint of earth tones in the patterns like the slate grey, rust check shown here. You are building an intentional, creative foundation for your wardrobe. If you wear suits to work every day, then having a healthy weekly rotation is the key to having a well balanced wardrobe. Our recommendation is usually 5 basic conservative suits that have the ability to be paired with plenty of shirts and ties. However, by investing in seasonal garments, you can expand your wardrobe even more than just these 5 suits. 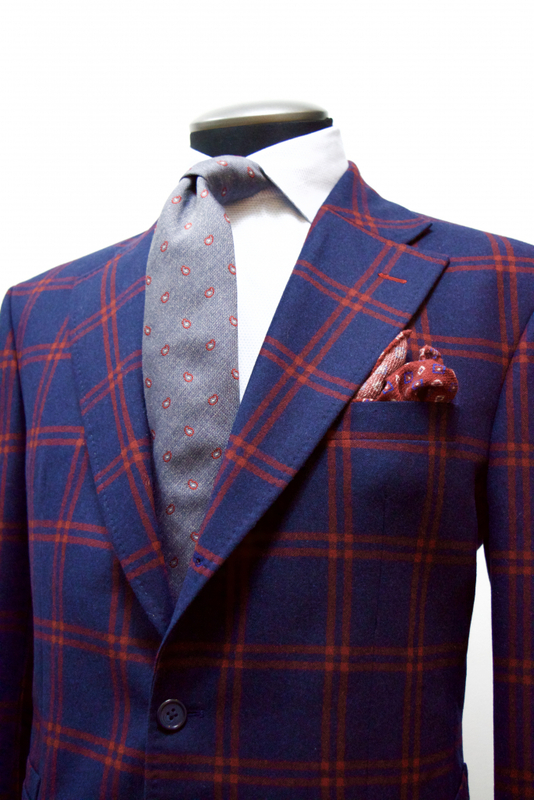 The benefits of investing in a fall suit is having a garment that will be used for this season specifically. Once the warmer weather returns, your fall suit will be placed in the back of your closet for a 'rest period.' The benefit to these rest periods is keeping the longevity of your seasonal garments. 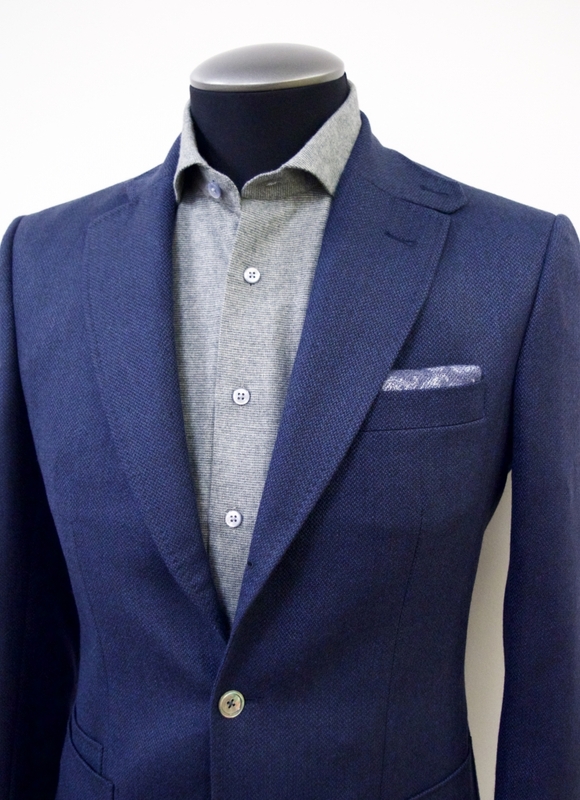 An 'all season' suit is used day in and day out which puts a strain on the fabric and accelerates the wear and tear. By investing in a handful of seasonal garments and adding them to your weekly rotation (in this case fall), you can prolong the life of both your seasonal suits and all season suits. Assess your wardrobe and see how many 'all season' suits you have. If you have a healthy weekly rotation of work suits and are shopping for your first fall suit, opt for a garment that can be easily switched into your rotation. 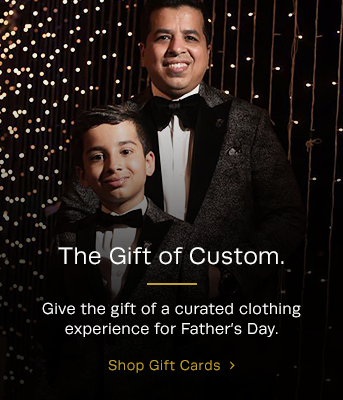 This is the first step into expanding your seasonal wardrobe. While all season suits provide the base of your closet, seasonal garments can stretch your wardrobe further, both by adding more depth to your closet and by prolonging the life of your rotational suits. Remember that your image represents who you are without saying a single word, and by investing in a handful of fall seasonal suits this season, you will be well prepared for the office and for any occasion.